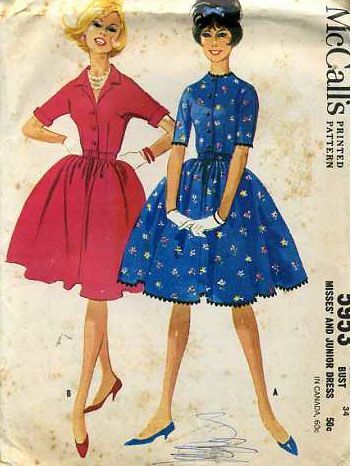 Vintage Dress Patterns from the 1950's. Sock hops, record players, and dialing that rotary phone. The 1950's had a special charm, and part of that vision is the modest dresses that were popular in the day. Here are some resources so you can get your hands on a 50's dress pattern and experience your own Pleasantville. Scissorhappy has a multitude of vintage patterns from the 50's. This is the #1 source that I could find for selection and price. Marilyn Monroe Dress Pattern. Patterns of Time, Inc.
A lot of stitchers who are looking for a 50's dress are inevitably beating around the bush, in pursuit of a Marilyn Monroe style of dress like this one. If you are going for the Marilyn look, this one from Patterns of Time is a good bet. Patterns from the Past is a site that has around ten 1950's patterns at a time in each pattern manufacturer. You have to click around a lot on their 'master list' in order to see dress patterns from Advance, McCalls, Butterick and more. They do accurately describe the condition of the pattern and offer styles that are very typical of the era for a great price. Fabric.com is one of my favorite places to score dress fabric because you can get a lot of it at a cheap price. The site has oodles of info about the fabrics, with lots of patterns and types to choose from. For all you time travelers, here is a comprehensive list of some of the best vintage pattern sites on the web. 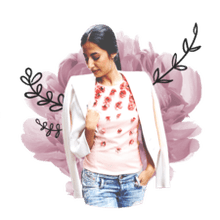 I've done the homework to find out which sites are offering the best variety, quality and cheapest deals in vintage patterns.